Overview: The Dogo Argentino was originally bred by a doctor in Argentina for big game hunting and as a companion and protector. 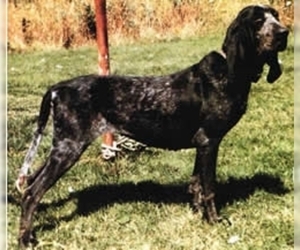 They are sometimes used for fighting and have gotten a bad reputation. They are banned in Britain. 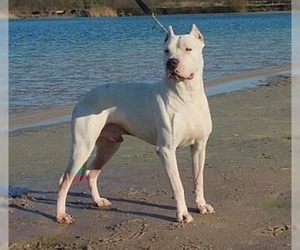 Character: The Dogo Argentino is intelligent and trainable. They are used for police work, narcotics detection and in the military. Temperament: The Dogo Argentino is a good guard dog and is good with children living in the home. 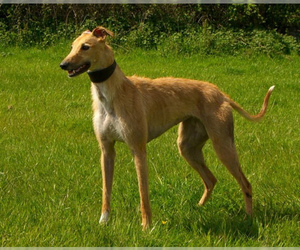 They are usually good with company, but don't do well with other dogs. 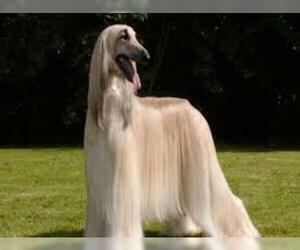 Care: This breed has no odor and needs infrequent bathing. They shed at an average rate. Training: The Dogo Argentino needs obedience training from a puppy. 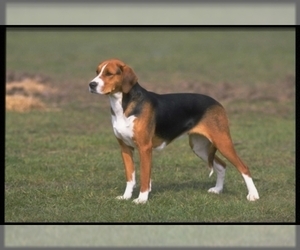 They need consistent, firm training and do best with owners knowledgeable about training dominant dogs. Activity: Dogo Argentinos need exercise in a yard. They can live in an apartment, if taken for walks regularly.